Amazon Japan listings | October 29, 2014. Last edited by WTK; 05-27-2014, 08:41 PM. Just popped in the first disc. No setup options in the menu, a single audio track for Japanese, zero subtitle tracks. I don't really mind it being a pretty display piece while the AoA Blu-rays serve as my primary watching discs (unless I feel like testing my Japanese, my memory of every line in the series, or a combination of the two), but it's still unfortunate that after all this time, they couldn't include a single English option. 38000yen + tax. April 3, 2019. The way you worded your prior post made me think I was just dumb and missed something about the subs and/or dub. There's certainly a chance that actual news about subs and/or dub being included won't show up until release date and someone has an actual set in hand. Retail sites may never update to mention the info at all if it's there; for example, Aniplex Japan's own Fate/Zero page makes no mention at all of the complete series box including both subs and the dub. The English dub is mentioned on the first sentence right below the gold subheading. Btw,I know it's off-topic, but anyone know how's the A/V quality between this and the sub-only release? I'm thinking there should be some difference considering the dub is included. 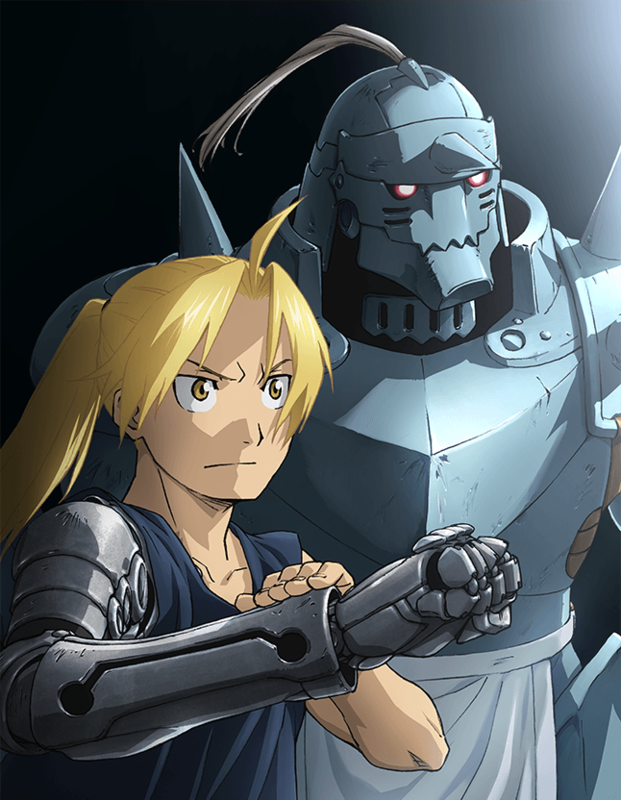 Curious about how this FMA boxset will compare with the AoA release as well, seeing they could just be the same thing with slight variance on the menus. I had a feeling this was coming to celebrate the 10th anniversary of the G.O.A.T. While I generally don't bother with imports, this one might be worth it depending on how it looks. And if Aniplex of America puts these imports for sale, then it would be even better. But I'm not expecting it seeing that they released it not long before this comes out. Alternately, I wasn't sure if maybe you were just a big enough fan of the series that you were planning on getting this set also for completion's sake, or didn't mind having to watch it in Japanese with no subs. Yeah, I think for the complete Japanese BD-Box for this series that we finally get after ten years, I have to get it even if I never end up actually watching it. I might still pop it in for a bit even if it is Japanese-only. Hmm... I don't follow Japanese releases closely enough to know for sure if we'd have confirmation of English subs or dub by this point. I guess I'll get it anyway, but that is disappointing. Maybe I missed something obvious in one of the linked pages, but there doesn't seem to be any English support as part of this release. So if additional details in that regard don't materialize, then there won't be any AoA import distribution. Which may also be the explanation as to why AoA just went ahead with their own release in such relative close proximity to this JP set. For a second I thought they were re-releasing the 2003 series and including the OVAs this time, but I forgot Brotherhood was well overdue for a BD-box. 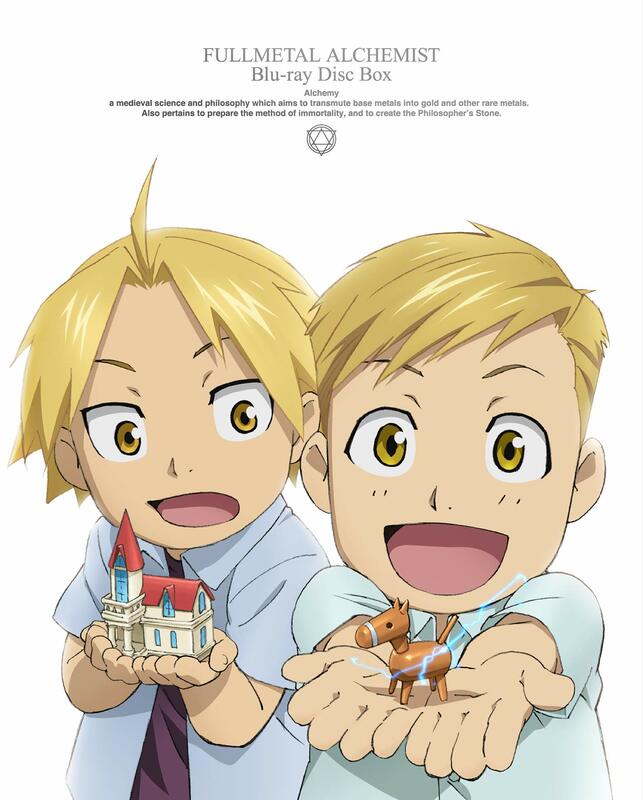 I've said countless times over the course of years that we'd be getting a Japanese BD-Box of all of Fullmetal Alchemist: Brotherhood for its 10th anniversary, and it wasn't until recently that I began to doubt that it would materialize with so little time left. I guess they don't care about having as much lead time, though, because lo and behold, here it is, honestly less extravagantly priced than I expected. I'll wait a bit to see if AoA brings it over. I figured it was a shoe-in until they released their own nice half-series Blu-ray box sets a few months ago, so while I still think it has a decent chance, I can't be as sure anymore. Of course, I just paid the $200 for those as well, already double-dipping after my original Funimation Blu-rays, but I was always prepared to pay over $600 for any fancy re-release of the series, so I'm fine with splitting it between my second and third releases of the series, even if they're only a few months apart. I really would've thought Aniplex would be communicating between Japanese and American sides and have the latter wait for this release. Anyway, if the American import doesn't surface, I'll wait to see more details on retailer exclusives, since I know everyone has to have something different for Japanese releases. I suppose there's also the chance that Animate sells it on their English site with a bonus item even if AoA doesn't do their usual Right Stuf import, as with the Heaven's Feel movies. If none of that happens, I'll probably end up ordering from Amazon Japan, since I believe they tend to have the best exclusives and are the easiest to deal with. Yeah, these look slightly better then my DVD's upsacled via the PS3/4. Any shots of the movie? Probably look the same as FUNi's I'd guess.